Zenit Barcelona is 250 metres from Plaza Francesc Macià on Barcelona’s Diagonal Avenue. 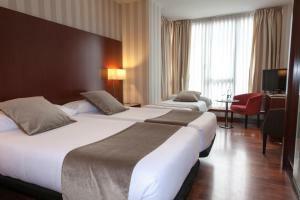 This modern hotel offers stylish air-conditioned and soundproofed rooms, with free Wi-Fi and a pillow menu. The Zenit is a 15-minute walk from Passeig de Gràcia Boulevard, where Gaudí’s famous La Pedrera and Casa Batlló can be found. 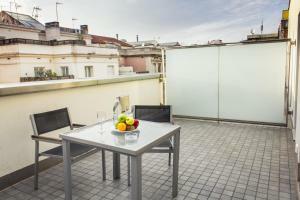 Plaza Catalunya and Las Ramblas are a further 15 minutes’ walk away. 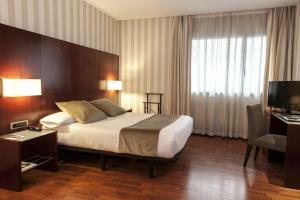 Rooms at the Zenit Barcelona feature satellite TV and a safe and minibar. There is a work desk and a kettle with free tea and coffee set; the private bathrooms come with a hairdryer. Zenit Hotel’s restaurant offers gourmet Spanish and international cuisine. A special gluten-free breakfast and children's menus are available, and packed lunches and room service can be requested. There is a 24-hour front desk and a tour desk. A laundry, dry cleaning and ironing service is offered. Parking is available 10 minutes' walk away, for an extra cost. 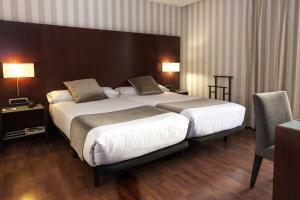 For reservations of more than 5 rooms or 7 nights, prepayment is required. 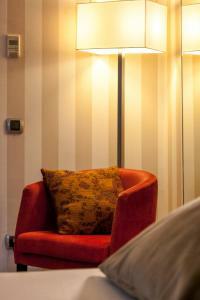 Once the booking has been made, a member of staff will contact guests to arrange prepayment. Upon arrival, guests must present a form of ID in the hotel reception. 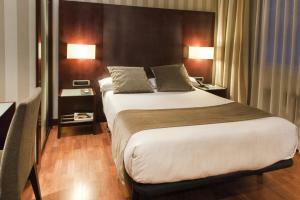 If the cardholder is not staying in the hotel, guests must contact the hotel prior to their arrival. Please note that the restaurant is closed on Saturdays and Sundays. 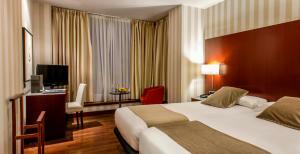 This air-conditioned room features modern décor, a flat-screen satellite TV with national and pay channels, and a minibar. There is also a free safe, and a private bathroom with hairdryer, a magnifying mirror and free toiletries. The room includes a pillow menu. 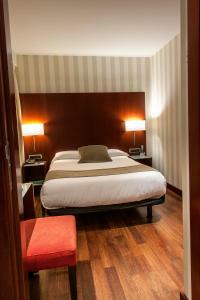 This air-conditioned room features 1 double bed (1.35 m). 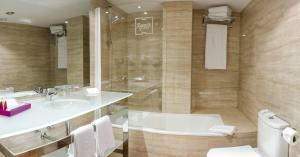 It also has a flat-screen satellite TV with national and pay channels, and a minibar. There is also a free safe, and a private bathroom with hairdryer, a magnifying mirror and free toiletries. 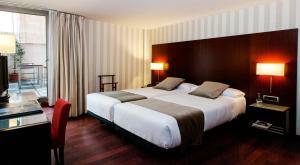 Rate: € 80.10 ... € 238.00; select dates below to get current rates. Spacious rooms with a private terrace with table and chairs.This air-conditioned room features modern décor, a flat-screen satellite TV with national and pay channels, and a minibar. There is also a free safe, and a private bathroom with hairdryer, a magnifying mirror and free toiletries. The room includes a pillow menu. This smaller, air-conditioned room features modern décor, 1 1.35 metres double bed, a flat-screen satellite TV with national and pay channels, and a minibar. 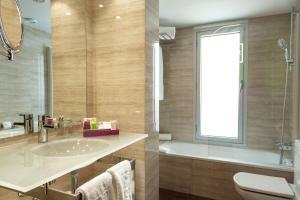 There is also a safe, and a private bathroom with hairdryer and free toiletries. 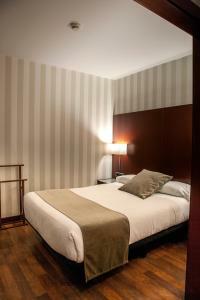 The room includes a pillow menu and free Wi-Fi.